There are three main aspects to consider when approaching the GVV of texts. Then the vision of the world they offer is positive and their viewpoint is optimistic. Very few texts will be this straightforward however. Often bad things happen to good people in texts and the vision never stays the same the whole way through. This is something the writer cannot control – the way the reader/viewer responds to the vision they have created. For example, a reader/viewer may not like romantic comedies. He may think they are formulaic, predictable, simplistic and sickly sweet. So even though the person who created it might want the reader to respond positively to the vision they are offering, the reader probably won’t. The g v & v changes during the course of any text. One exercise with a class could be to draw up a graph (As done by Ms E. O’Connor here.) The vertical axis went from tragic at the bottom to blissfully happy at the top. The horizontal axis went from the beginning (on the left) to the end (on the right) of the text. Then pick eight key moments and plot them on the graph. This gives a clearer sense of how the g v & v changed, ebbed and flowed over the course of the text from beginning to end. However it is a little simplistic – you need to offer a more complex discussion than “happy/sad” (nostalgia, longing, frustration, injustice, tragedy, triumph, humour are all more specific words). AND you need to think about whether the author offers you a positive, warm and uplifting view of human beings or a deeply pessimistic indictment of human beings’ flaws and foibles. Think about the writer/director’s vision of the society the characters inhabit. What decisions has the writer/director made as to how the text begins and ends. Does the story begin and end at the same point (as in Babylon)? Have the characters achieved anything in the intervening period? Is the text a gradual journey towards enlightenment and self-fulfilment? Or does everything end badly, despite the characters best efforts to achieve happiness? Compare the beginning g v & v of each text. Finally compare the g v & v of the endings. Reading through past exam questions, planning them and answering them is an excellent way to prepare yourself for possible future questions. Discuss this statement, supporting your answer with reference to both the themes and language found in the poetry of W.B. Yeats on your course. To what extent do you agree with this statement? Support your answer with suitable reference to the subject matter on your course. Write an article for a school magazine introducing the poetry of W.B. Yeats to Leaving Certificate students. Tell them what he wrote about and explain what you liked in his writing, suggesting some poems that you think they would enjoy reading. Support your points by reference to the poetry of W.B. 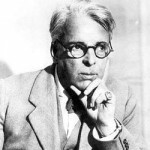 Yeats that you have studied. Discuss this view, supporting your answer by quotation or reference to the poems of Yeats on your course. Discuss this view, supporting your answer by quotation from or reference to the poems by Yeats on your course.